On March 29, The San Francisco Call carried wire reports from across the country, covering the march and those who were traveling to participate in it. Coxey’s Ragged Army Is Straggling On. They Were Prepared to Snowball the Soldiers. BUT WERE MOVED TO SORROW. So Far the Deserters Along the Line Far Outnumber the New Recruits. Alliance, Ohio, March 28.— Coxey’s army broke camp, after a good night’s rest on clean straw and a plentiful breakfast of fried ham and pork, bread and coffee, at 9 o’clock this morning, with 193 men in line by actual count. Garfield, Ohio. March 28.— Weary Commonweal Army straggled into Beloit at noon, five miles out of Alliance and seventy-two miles from Pittsburg. The march was broken at Niles Junction, where Marshal Browne called a halt for half an hour. Horn-blowing and chaffing from the villagers greeted the woe-begone army. 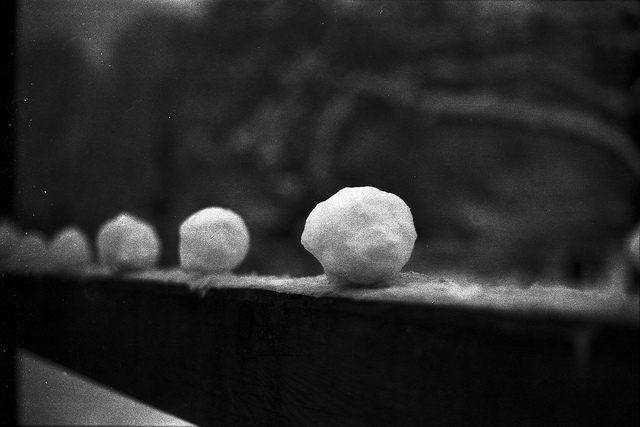 Some of the boys had several bushels of snowballs prepared for the army, but the appearance of the men was so forlorn that they were allowed to pass unmolested. Several have deserted and there is much grumbling. The army, sixty-seven strong, passed through Damascus at 1:30 P.M. and was jeered by the people of the village. Owing to the rough roads the marchers have not been able to make schedule time. Leaving Louisville the itinerary of Coxey’s Army was to have been as follows: Wednesday, 28th, Salem, Ohio, afternoon; Thursday, 29th, Columbiana, Ohio, afternoon; Friday, 30th, East Palestine, Ohio, afternoon; Saturday, 31st, New Galilee, Ohio, afternoon; Sunday, April 1, Beaver Falls, Pa., afternoon; Monday, 2d, Sewickly, Pa., evening; Tuesday. 3d, Alleghany, Pa., evening; Wednesday, 4th, Pittsburg, Pa., afternoon; Thursday, 5th, Whitehall, Pa., afternoon; Friday, 6th, Finleyville, Pa., afternoon; Saturday, 7th. Bentlyville, Pa., afternoon; Sunday, 8th, Brownsville, Pa., afternoon; Monday, 9th, Uniontown, Pa., afternoon; Tuesday, 10th, Laurel Summit, Pa., afternoon; Wednesday, 11th, Somerfield, Pa., evening; Thursday, 12th, Grantville, Md., evening; Friday, 13th, Frostburg, Md., evening; Saturday, 14th, Cumberland, Md., afternoon; Wednesday, 18th. Hancock, Md., evening; Thursday, 19th, Williamsport, Md., evening; Friday. 20th, Hagerstown, Md., evening; Saturday, 21st, Boonsboro, Md. ; afternoon; Sunday, 22nd, Frederick. Md., evening; Monday, 23rd, Ridgeville, Md.. evening; Tuesday, 24th, Damascus, Md., afternoon ; Wednesday, 25th, Atkinsons Post Office, afternoon; Thursday, 26th, Loytonsville, Md., afternoon; Friday, 27th, Olney, Md., afternoon; Saturday, 28th. Rockville, Md., afternoon; Tuesday, May 1, Washington, D. C, noon meeting on the Capitol steps. Salem, O., March 28.— Salem has treated the Coxey Commonweal most generously in food and shelter and recruits. Shortly after 3 o’clock the army filed into town, seventy-nine strong. Probably 3000 people gave them a silent welcome. Mayor Northrup provided two halls as sleeping apartments. Quantities of food, such as coffee, bread, meat, sandwiches and ten dozen boiled eggs had been prepared by a committee of citizens. Sixteen men joined the army here. Three of the men are sick under a doctor’s care. Marshal Browne was informed that 200 striking potters at East Liverpool would join the army. Chicago. March 28.— General Coxey of the Good Roads Army arrived here this morning and went at once to the stockyards to see about the sale of a consignment of horses. On Coxey’s appearance at the horse sale at the stockyards he was greeted by loud cheers and calls for a speech. Coxey’s horses brought but $450, while he expected not less than $1000, and with this for a cue he roundly scored existing conditions, charging the hard times to “a lack of money.” This evil he said he proposed to remedy by compelling the Government to Issue bonds for $500,000,000. Coxey’s Chicago lieutenant, Albert Mason, claims he will leave for the East Saturday with 5000 men. At present the 5000 is represented by the foregoing shadow, consisting of twenty-one men. Mr. Coxey took dinner at the Auditorium and left at 4:45 p. m. on the Pennsylvania road. He will reach Salem tomorrow in time to take up the march. Pittsburg, March 28.— The steamer Hudson, which arrived from Cincinnati to-day, has on board a small detachment for Coxey’s army. It consisted of ten men, seventeen horses and eight wagons. They, with their horses and wagons, were taken on at Bellaire, Ohio. They expect to join the army at East Palestine or Beaver Falls. A large military band is being organized here in the interest of Coxey. St. Louis, March 28.— Thirty of the recruits for Coxey’s army arrived here tonight on the Wabash road, en route to Pittsburg to join the main body there. Denver. March 28.— The Denver contingent for Coxey’s army met today and decided to take up the march for Washington on Saturday morning. They number about fifty men, and expect to be re-enforced at Colorado Springs and Pueblo. They will not walk, but expect to capture an eastbound freight-train. Many of the men have no idea of going on to the national capital, but will desert the first time they have an opportunity of securing work. Men Cannot Be Left Upon the Texas Desert to Starve. This afternoon $200 worth of provisions for the hungry men was forwarded by express. You can truthfully nay that neither the cormorant nor the commune can disgrace Texas while I am Governor. When a railway company hauls tramps or unemployed penniless men into this State it cannot dump them into a barren desert and murder them by torture and starvation without atoning for it if there is any virtue in the machinery of justice. Nor will I permit them to be shot down on Texas soil by any armed force whatever, no matter how much the Southern Pacific and other enemies of the State may howl about the commune. – J. S. Hogg. General Manager Galveston, Harrisburg and San Antonio Railway, Houston: Reliable reports have reached me that your company and your lines (in other words, the Southern Pacific, now dominating your line) have brought into Texas from other States about 700 men and left them at or near Findlay, in a desert where they are being as much as murdered by starvation and exposure. As your company and the other that dominates it have brought them into Texas you must carry them out or transport them to some place of refuge. You are given reasonable time to do your duty in the premises, or failing must submit to the consequences from the State of Texas. Take due notice that this State will not submit to such wholesale murder of any human beings on her soil without testing the company’s life and every right claimed by it under Texas laws. – J. S. Hogg, Governor. “The industrials forced the company to haul them. They seek to seize our trains, and appropriated the property against persistent remonstrance and the destruction of our legal rights, and in spite of our appeals to you supported by proof which your reply shows that you held. “As we understand the law officers are not used to interfere for our protection. We have simply refused to surrender our trains and yield our property to them. “We have so far taken no affirmative action, and have not taken or contemplated a single step in the premises except in obedience to the plainest provisions of the law, and any reports to you to the contrary are wholly untrue. “If we are failing in any duty we are well aware how to cheerfully perform it if pointed out. While the men have reached their position by force, overcoming us, and while we are not under under the slightest obligations, legal or moral, to do so, nevertheless we will order our trains to take them to El Paso if you so desire, but no further, and with the expectation that the company nor its employees will be subjected to any penalties prescribed by any ordinance of such city for the voluntary carrying of such men into their limits. Memphis. March 28.— Voluminous reports received by the Associated Press from Sierra Blanca, Texas, are to the effect that General Fry’s army of Industrials, 400 strong, are threatened with starvation on the unsheltered prairies. Many of the men are unable to stand or walk, being famished. The Industrials announce that they will help themselves to-morrow if relief does not come.